Hi, my name is John Stevens, W8RAT. 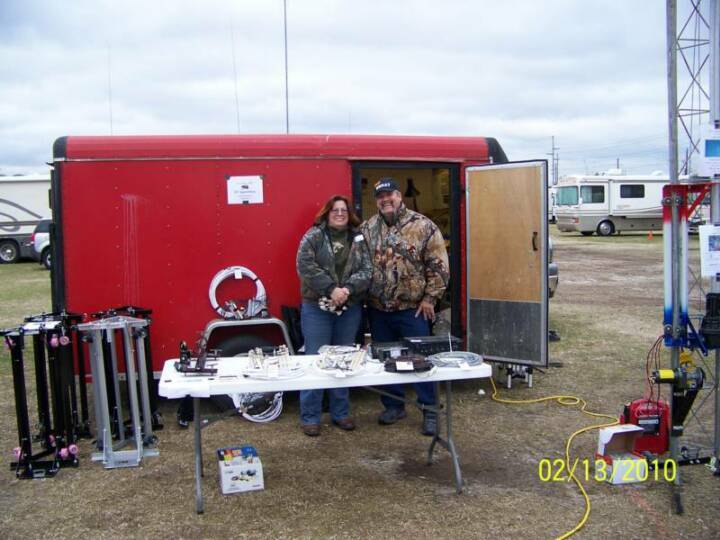 "Rattail" has been my nickname for some time and when I got re-acquainted with CB radio in 2007, it was an obvious choice for a handle. 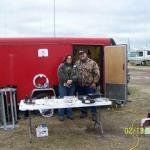 I met many great new friends through the airwaves and quickly became interested in Ham radio. After getting my General's ticket, I got a vanity call to keep my "Rat". (No, I am not from "8" land but unfortunately, the "4" was not available.) My wife & best friend is Gail Stevens, K4LOL. As our life is full of love and laughter, she thought the LOL was a great choice for her own vanity call. 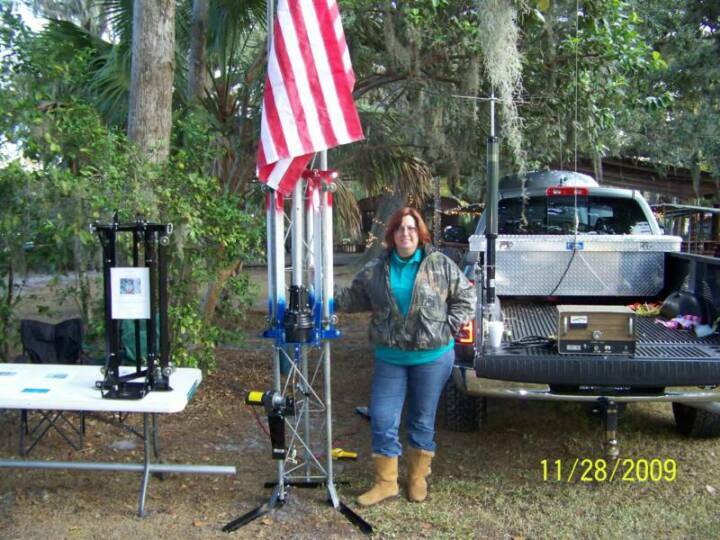 She is a great support to me in the fabrication of our products and travels with me to hamfests to display them. 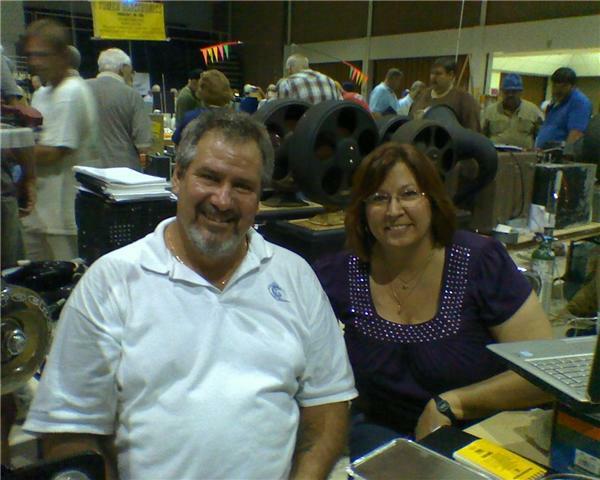 Originally from Ft. Pierce, FL, we were members of the FPARC, the St. Lucie County ARES and were Skywarn certified. In 2011, we moved to Cullman, AL and love our new home and community. RT Innovations was born out of a friend's necessity. When asked if I could design & build a tower lift without the problems of the standard Glen Martin Hazer, I went to work. Many hours went into the design and fabrication of that first lift to engineer away the Hazer's weaknesses. This first Razor was installed on a Rohn 45 tower (not even available in a Hazer) in early 2008 and it is still working flawlessly. After a few minor changes were made to tweak and improve it, the RT Razor was born and put into production. There are now over 110 RT Razors throughout the USA & Puerto Rico. When I got a request for an easy to use Gin Pole, I again got to work in my metal shop and the RT Gin Pole was born. I used it with ease myself taking down a 150 foot Rohn 25 tower and have also stacked 25, 45, and 55 towers with the same smoothness. 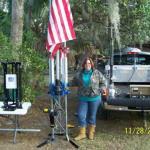 My Double Bazooka Antennas came about after I was given a home built one by a very respected friend (N4HYK). I was very impressed with it except for some of the inherent problems with traditional ladder line. After a lot of research, I built and installed an 80 meter at my home. Everyone I talked to through this antenna was impressed by it's capabilities without having to push a lot of power through it. 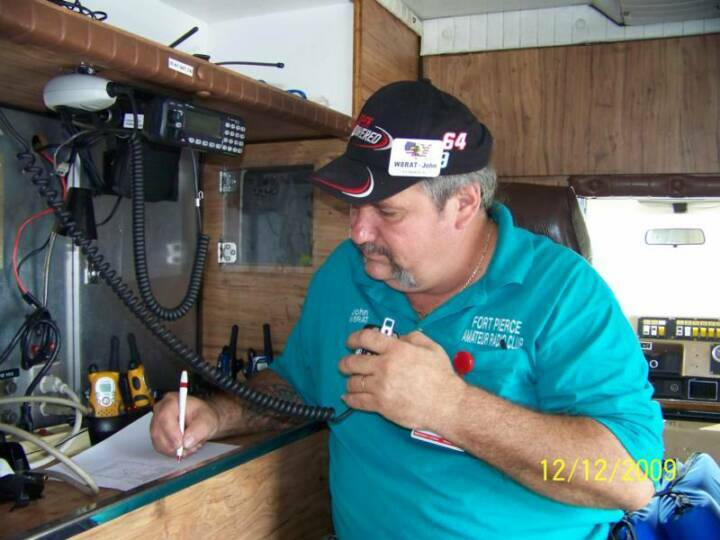 Although a relatively new Ham operator, I have over 30 years experience in automotive paint and repair. In fact, in 2015, I fulfilled a life long dream & opened my own custom automotive restoration shop, American Custom Cycle & Auto. 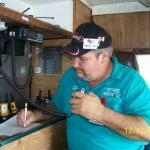 I have used this experience and my love for the radio to create quality products for both Ham and CB users. Among other items I have built for local customers are custom brackets for multiple mobile radios and mounts for vehicle antennas. I love working with metal and I'm enjoy using my talents to create such quality items. 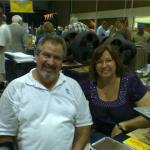 With my wife's help and support, we look forward to years of many happy customers. Thank you for viewing my website and considering adding an RT Innovations product to your life.